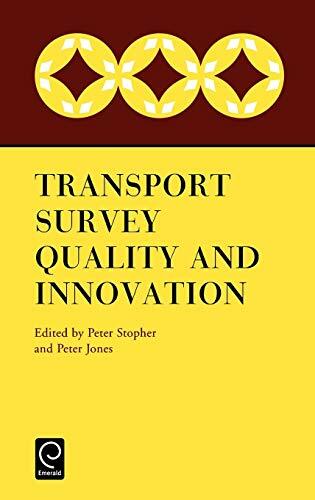 This overview of developments in transport survey methods from around the world emphasises survey quality and innovation. It contains selected papers from the International Conference on Transport Survey Quality and Innovation, held in the Kruger National Park, South Africa, during August 2001. The conference covered both passenger and freight transport, but was limited to surveys that collect information directly from individuals or organisations so it excludes traffic counts or other observational data collection. Many delegates were from Sub-Saharan Africa and other less developed regions of the world, so there was also an interest in identifying user needs and exploring what can be accomplished outside the North American/Western European regions of the world. This conference was the eighth in a series of international conferences on Survey Methods held since the late 1970s, the previous one having been held in Germany in May 1997, entitled "Transport Surveys: Raising the Standard".